The structure indicated is the pedicle of the vertebra. The vertebral arch is formed from two pedicles and two laminae. 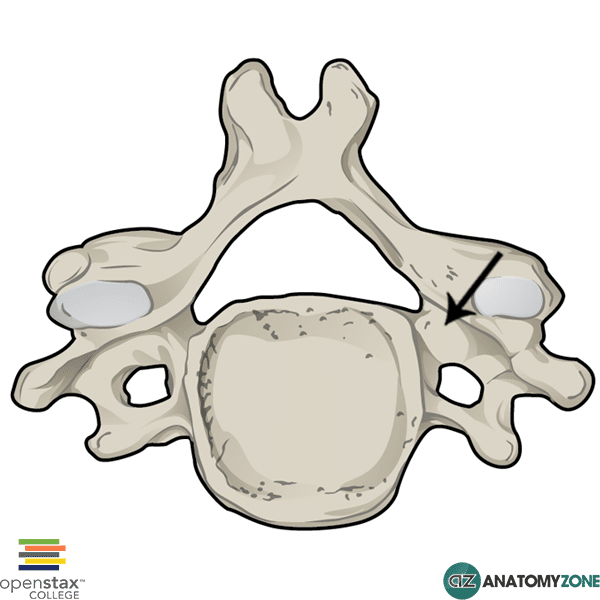 The pedicles attach on either side to the posterolateral aspects of the vertebral body and unite posteriorly with the laminae which complete the vertebral arch.